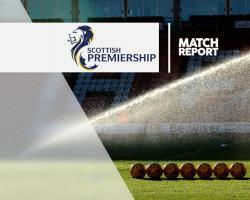 Bottom-placed Inverness battled back from two goals down to earn a 2-2 draw with visitors Dundee in the Ladbrokes Premiership. But Billy Mckay's penalty, Caley Thistle's first league goal of 2017, provided hope before he saw another penalty saved by Scott Bain. With 11 minutes to go, Greg Tansey slotted home a leveller to show Inverness are still up for this survival battle despite going 13 league games without a win. There were three changes for the struggling hosts following the midweek defeat at Hamilton which left them three points adrift of Accies going into this one. The headline news was that Ryan Esson replaced Owain Fon Williams in goal, while Billy King returned from his spell on the sidelines. Fon Williams and Liam Polworth were named as substitutes, while there was a debut for on-loan Celtic defender Jamie McCart as Brad McKay dropped to the bench. Dundee, whose last game was a 3-0 defeat at Aberdeen eight days previously, also made three changes as captain Darren O'Dea and Kevin Holt returned and there was a debut for Henrik Ojamaa, who was last week signed on loan from Go Ahead Eagles until the end of the season. Inverness fell behind eight minutes before the break when Haber's downward header beat Esson after Cammy Kerr crossed into the box. Tom Hateley flighted in a corner and O'Dea darted in to steer a header past Esson into the net. Mckay slotted home a 53rd-minute spot-kick after he was held back in the box by Julen Etxabeguren, who was booked to give hope to home fans. David Raven cleared a drive off the goal line from Ojamaa just after the hour mark then McGowan drilled over the top as Dundee went in for the kill. Etxabeguren tripped Henri Anier for a second home spot-kick after 73 minutes but this time Mckay's low effort was saved by Bain. Tansey sealed the comeback after 79 minutes when he fired home from 20 yards after Mckay's effort was parried by Bain. This result combined with Hamilton's 1-1 draw with Kilmarnock leaves Caley Thistle still three points adrift at the foot of the table.